U.S. 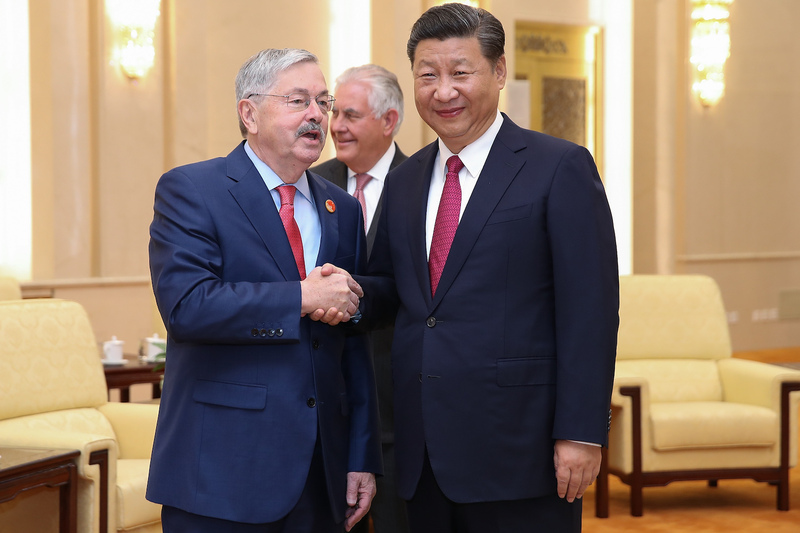 Ambassador to China Terry Branstad (left) shakes hands with President Xi Jinping, with U.S. Secretary of State Rex Tillerson behind them, at the Great Hall of the People in Beijing, September 30, 2017. This Sinica podcast was first published by SupChina. China, as we say at the beginning of each Sinica Podcast episode, is a nation that is reshaping the world. But what does that reshaping really look like, and how does—and should—the world react to China’s role in globalization? Few are better placed to answer these questions than Kishore Mahbubani, a veteran former diplomat from Singapore who recently ended a stint as dean of the Lee Kuan Yew School of Public Policy. He remains on the faculty there but is taking a sabbatical, in part to write a book for Penguin UK titled Has the West Lost It? His most recent book was titled The ASEAN Miracle: A Catalyst for Peace. The most important event of 2001 was not the 9/11 terrorist attacks, but China’s entry into the World Trade Organization. The U.S. and China are perfectly positioned for an infrastructure cooperation deal, but China’s communist identity, more than anything, makes such cooperation unthinkable. To address this psychological block, Americans—and all Westerners—should think of China’s government as led by the Chinese Civilization Party, not the Chinese Communist Party, because its goal is to revive Chinese civilization, not to export communism.